We share accessible, fun, meaningful wellness experiences remixing mindfulness, yoga, chi gong, dance, live beats, community and often nature. Events that leave your team feeling happy, connected and fired-up about your company beyond the traditional happy hour. We create a wellness experience that feels as fun, laid back and rejuvenating as a day on the beach. 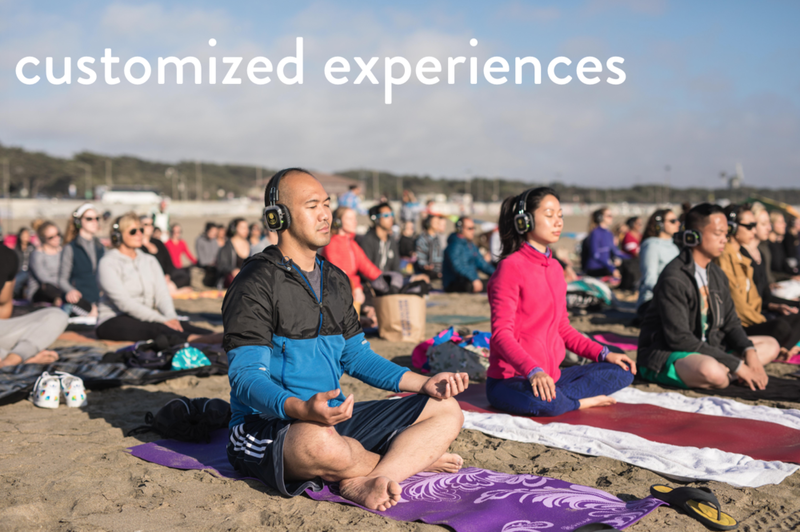 Whether we're at the real beach or transforming your space with music, sunshine and yoga mats, we'll bring the good vibes to you! 60-75-minute all-levels yoga + soulful beats class with lead teacher and Live DJ. We’ve been searching for a way to create a soulful, nature and ocean inspired experience inside, and this is it! With beautiful low lighting, soulful beats, and space to move, this is welcoming and inspiring place to bring your evening and company to life. We can also bring this experience to you - to your office or to a location near you! Note: due to lighting and equipment, this event does have a 10k minimum budget. 60-75-minute all-levels yoga class + beats class with lead teacher and Live DJ. The beach is where we got our first start and is still our favorite place to bring groups. There’s nothing like arriving to the beach with your colleagues and that shared excitement. Watch the waves as we slowly build up the yoga practice to a dance party with feet in the ocean at the end of class. It’s a one of a kind experience! Good Vibes! 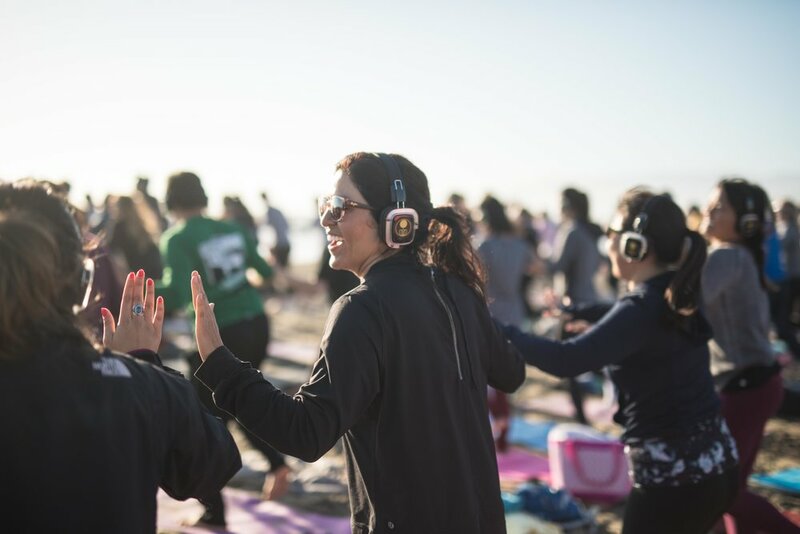 We bring Silent Disco Yoga to you. 60-75-minute stretch, light yoga + beats class with lead teacher and Live DJ. When you want to give your team an amazing experience in 1 hour exactly where you are - this is it! 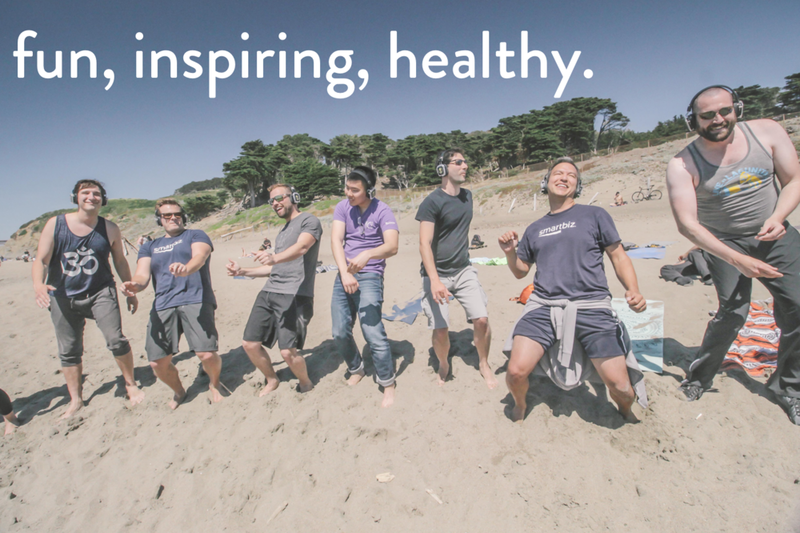 Our top-tier teaching team, live DJ, bubbly kombucha and headphone setup brings the wellness buzz to you. 30-60—min. Hit the reset button. If you’re team is feeling burnt out and could use a time to breathe and recharge, this is the perfect event. Zen music combined with light yoga, simple chi-gong movements that bring energy flow back to the body, ending with meditation. No need to change into yoga clothes, everyone can come just as they are. Aromatherapy workshop: Make your own essential oil blends. 60 minute hands on workshop to learn about essential oils and make your own blends. This workshop has emerged as a natural extension of what our clients love - hands on activities to learn about wellness in a fun and creative way. We offer a 101 intro to essential oils lesson, and then teach how to blend essential oils to create a blend or two that suit your needs: supportive sleep, energy, relaxation, deep breathing, etc. 60-75-minute stretch, light yoga + beats class with lead teacher and Live DJ. Take your team to one of the coolest hidden gems in town for a completely WOW experience. Bluxome Winery was the first place to take winemaking back to SF after the 1906 earthquake and makes delicious pinots here in this huge, raw but refined space. 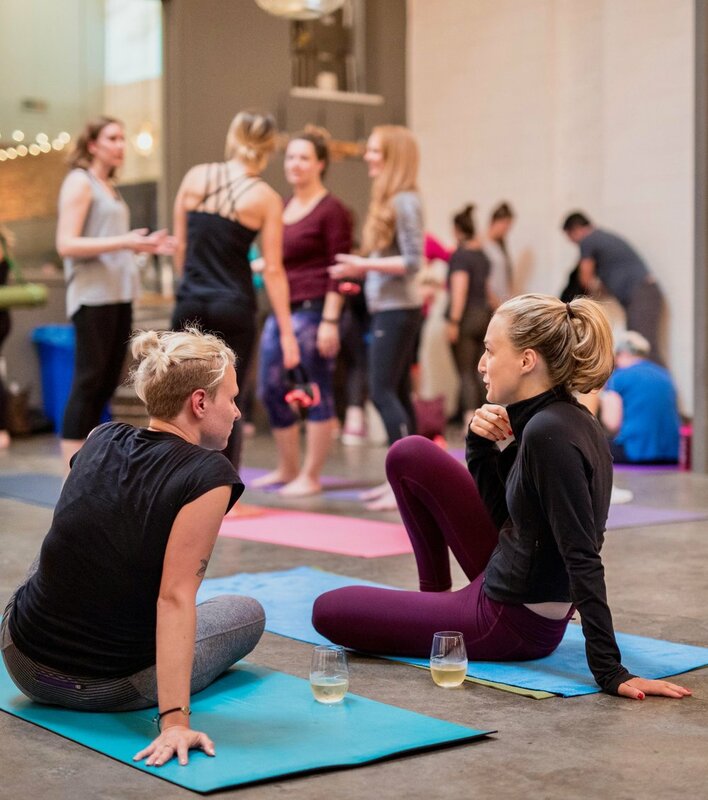 Our public events here always sell out and the combo of yoga followed by wine is always a massive hit. It’s not cheap, but it’s worth every penny! Bring peace, zen and deep breathing into your meeting or conference. 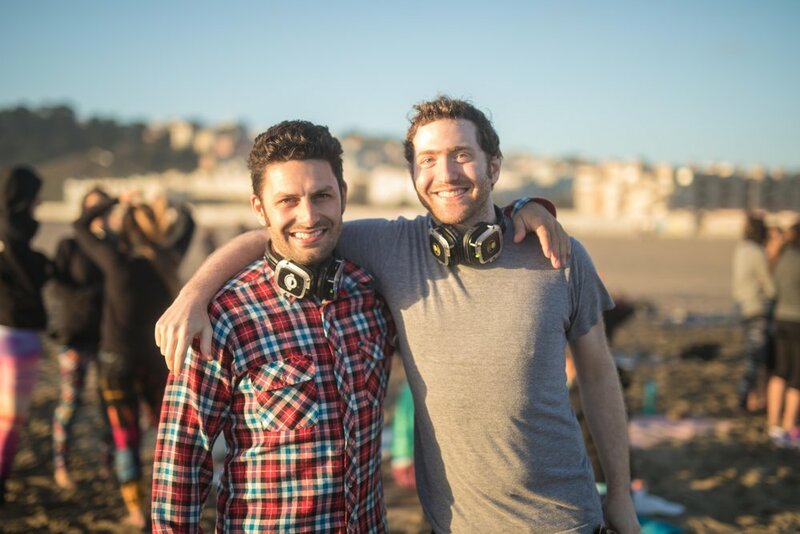 You’re team will receive headphones with soothing music and immediately be transported to a zen place to reset the day. We’ll guide a gentle moving meditation, incorporating easy stretching and breathing and ending with a few minutes of seated meditation. Short, sweet, and powerful! No need to change into yoga clothes, everyone can come just as they are. 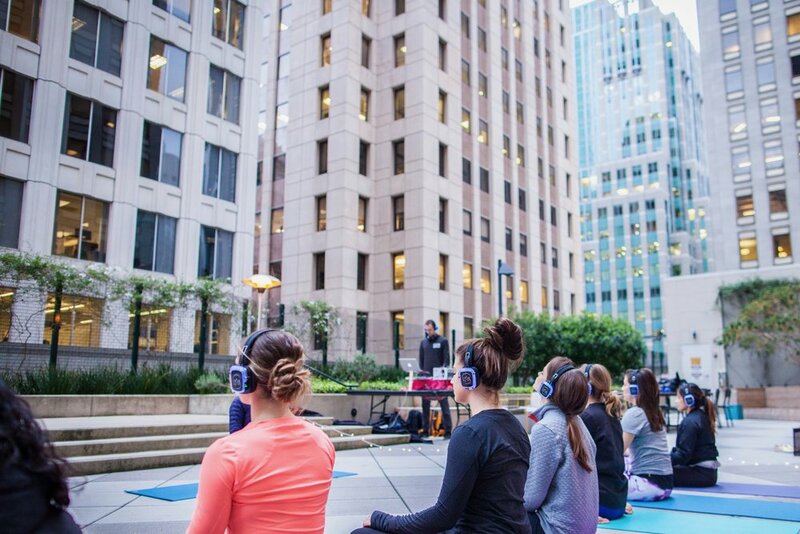 Everything we do for our Silent Disco Yoga event, supported by the coolest backyard party kind of vibe. We're happy to customized the plan according to your needs. Simply reach out and let us know what you're looking for! Lighten your load, we keep the details easy. Let's chat and we can find the best space for your group. Depending on season, size of your group, and your budget we can determine your location. Ideas: On-site/ the Beach in SF/ Off-site: We've worked on rooftops, patios, corporate courtyards, on the Berkley Hills, in wineries, conference ballrooms, and more. Catering, Gifts, Logistics - We can help. We help clients complete the experience. We're happy to support organizing details for you, helping you find the right gift - yoga mats, essential oils, capture your day photos, and support with overall logistics. We believe in creating beautiful, welcoming, positive spaces to celebrate the spirit of this shared life experience. While our primary bond may be work or other-related, there is a power of coming together as a human family, to breathe, release stress, create balance in the body, and support each other in our happiness and wellbeing. Promotes happiness, focus, stress-reduction, team-work. Our experiences promote the culture of mindfulness while also weaving in the teachings of simple, effective mindfulness tools. Set your team up for greater success by providing experiences and tools for a thriving, creative, balanced workplace. While mindfulness and mediation are buzz words, practicing together in community can change and align the chemistry of your group. These practices of deep breathing, using movement practices with soulful beats - it has a profound affect when we do it together. I worked with Julie on two events and both were outstanding! My firm did a private yoga on the beach Friday afternoon afternoon and our guests loved it! It definitely forced folks out of their comfort zone in all the right ways, and was a beautiful way to end a week and start the weekend. We also hired Julie to run yoga, reiki, and more at our corporate retreat! Our retreat attendees loved the yoga available in the morning! We were pleasantly surprised at how many people attended - Julie's personally inviting people to join and making it beginner friendly was perfect. The afternoon and evening reiki sessions were also so well received and appreciated. There was a lot of learning and socializing over the weekend and so this was a great compliment. People also loved learning about and receiving reiki! We received really rave reviews about this event! People enjoyed it so much, and the benefits have carried over post-event, creating greater mindfulness and commitment to well being and self-care on our team, which is making the office a happier, more productive place to be. We will most definitely be doing this again! Thanks you so much for putting together such an incredible event. We loved the blended event format and would love to do it again. We also got SUCH good feedback from our members, like: I'd give you guys an 11 if I could! Thank you so much for taking such great care of us! We really appreciate it! - Head of Events + Membership. Client for 5 events, beach yoga and custom events. It was such a pleasure having the chance to meet you and work with you. I thought the event went off wonderfully and you are remarkable. 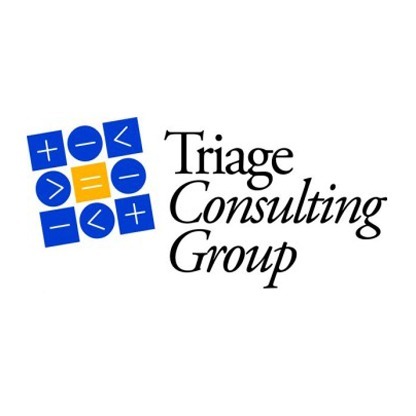 Thank you for the time you spent with me pre-event, your prompt responses, proactive troubleshooting on-site and your overall professionalism and commitment to providing an on-brand experience, complete with my messaging requests. I can’t wait to join you outside! 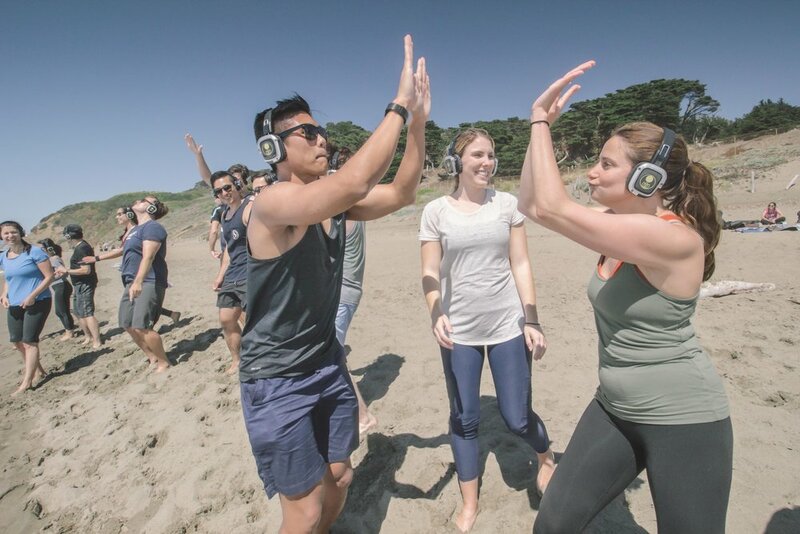 I hired Outdoor Yoga SF to do a private session of Silent Disco Yoga as a team building event. We did silent disco yoga outside and Julie made it fun and group oriented for us. She tailored the flow to work for all levels. The music selection was perfect, it was the right mix of hip and calm. I received nothing but positive feedback from the group. Communication was easy, group rate was reasonable and she traveled to our office. We loved the whole experience. I highly recommend for corporate and group events. I can't wait to check out the beach yoga sometime! Julie led my 35-person team through a unique yoga practice, allowing us to take time to connect with each other in a very different and meaningful way. My team loved the entire experience! Every single person and manager said that they enjoyed the yoga practice and were thrilled with the high-quality mats and beautiful essential oils. Julie also arranged for kombucha and protein bars to be shared with my group as a great touch. Yoga experts and noobs alike found the instructions easy to follow and really enjoyed the flow from beginning to end. Everyone came with an open mind and loosened up with some fun dance moves and circle group hug at the end. It was the perfect morning. This part of our event was the biggest hit! 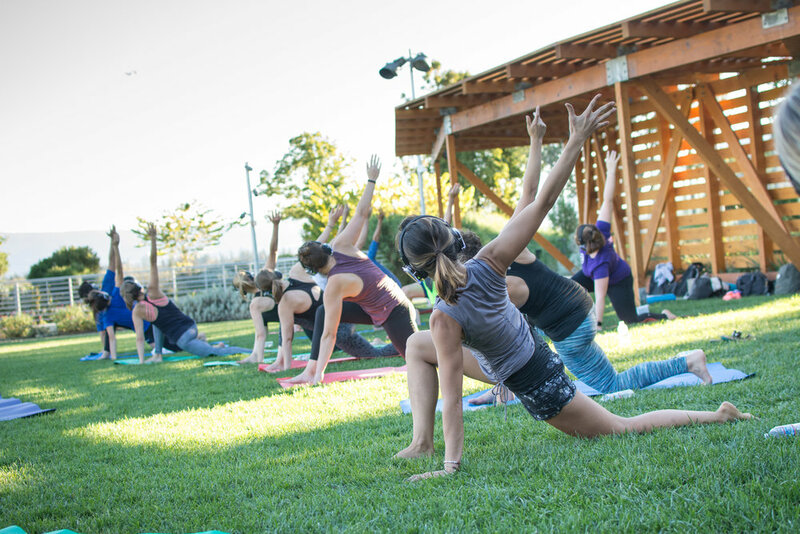 We can't believe how many people joined yoga and loved it! Thank you so much for bringing so much life to our event. Julie taught a silent disco class at my company for our Women's ERG. She was very easy to coordinate with, put heart and thought into the playlist, and that shone through in the flow she taught at the end of the day. I cannot recommend her and Outdoor Yoga enough! Thank you so much!! The girls were raving about our event with you for days. This event was the best possible event we could of chosen for our group. It was a perfect fit. We are SO excited to have you back next year! This event was AMAZING! Thank you for making it so special! You have an amazing idea and executed it perfectly for our group. The photos were a great touch too and way to bring smiles to the office this week. Alpha Phi had a magical time with Julianne and her staff at Outdoor Yoga SF. 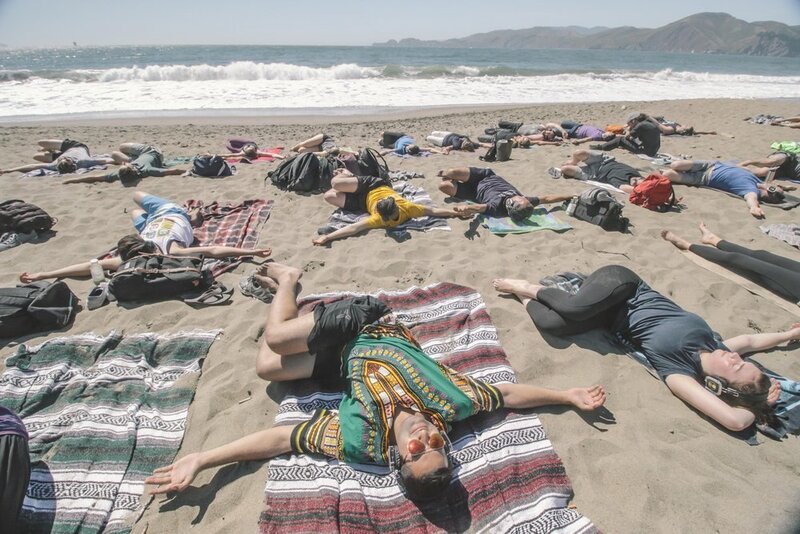 We worked with Julianne to arrange a private class for our new members at Baker Beach, and it was an experience of a lifetime! From the planning to the execution, Julianne worked to make the experience flawless. Julianne’s classes radiate positivity and brought an overwhelming amount of happiness to the women in our chapter! 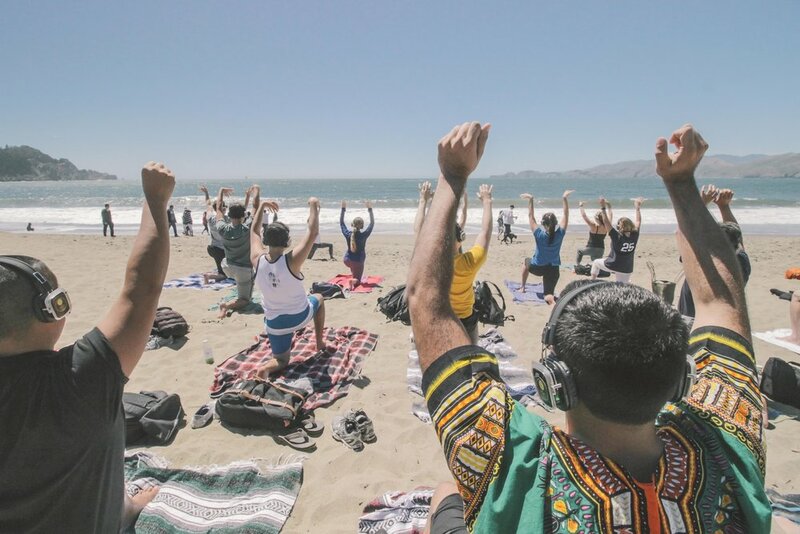 We highly recommend Outdoor Yoga SF to any organization or sorority looking to bring their members together in a super unique, healthy and fun way. 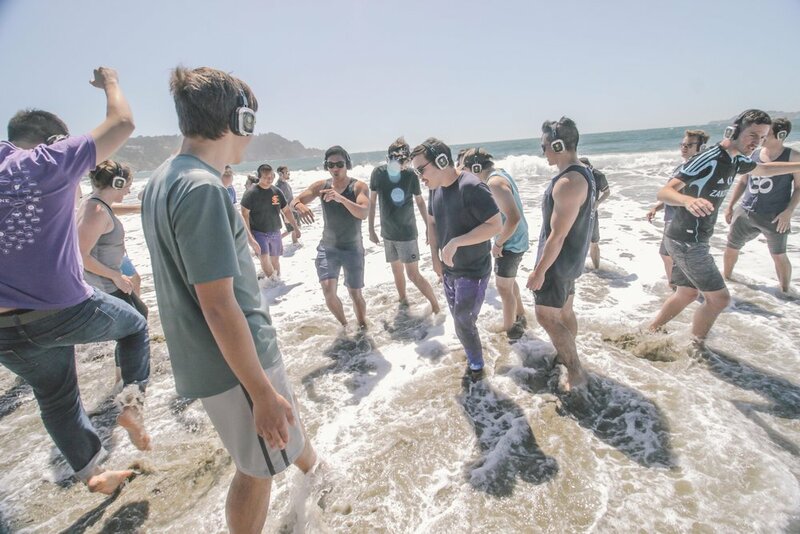 Hundreds of 5-star Reviews here for our Silent Disco Beach Yoga experience. there's nothing like a good beat to drop right in. an intimate yet connected experience. A select handful of dedicated teachers that lead our events. They bring energy, lightness and joy to your community while weaving meaning and connection in to your experience. we are each unique, powerful, capable, incredible beings given the gift of life. we are all that, and we're not different.